Azerbaijan, Baku, 18 August / Trend corr. K.Zarbaliyeva, I.Alizade / A total of three people died as a result of blast Abu Bakir Mosque in Azerbaijan's capital city of Baku at 9.00 p.m. during evening prayer. In the evening of 17 August, unknown man broke Mosque's window with stone and threw RGD-1 grenades into the Mosque. Gamat Suleymanov, the Imam of the Mosque, got slight injury and discharged after the primary medical aid. One of dead was identified, officials of the Public Prosecutor's Office told Trend correspondence. He is 53 year-old Rafig Abbasov and other two men are still being identified. Though five people were reported to be injured in this incident, the unofficial source place the number of injured at about 10. Hidayat Orujov, the chairman of the State Committee on Religious Organizations, visited the place of incident a while ago. Although many people gathered in front of the Mosque for the morning prayers, the Mosque was announced to be closed. At present law enforcement bodies are examining the incident place. The Baku City Police runs high security in connection with the incident. Police posts are formed at different places of the capital and all suspicious transport means are being examined. 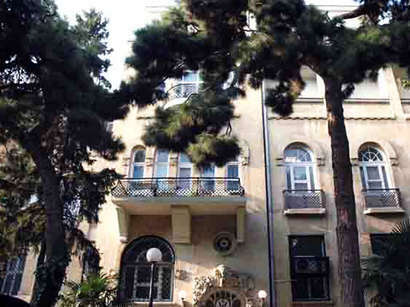 According to the Baku City Public Prosecutor's Office, this case is being investigated at the Baku city Public Prosecutor's Office and criminal case was filed on Articles 120.2.4 (deliberate homicide through general dangerous method) and 120.2.7 (deliberate homicide of two or more people) of the Azerbaijani Criminal Code. Nobody has been detained yet in connection with this incident. Investigation is being conducted to determine whether it has been a terror attack or not. Especially, people, who belong to Vahhabi sect, do their prayers in the Abu Bakir Mosque. In 2008, the Azerbaijani National Security Ministry and the State Committee on Religious Organizations conducted operations in this Mosque and withdraw religious books which are banned to be spread.